​The Waifs soared into 2017, celebrating their 25th Anniversary in style. Releasing their eighth studio record, completing a sold out national tour, gaining their first ARIA #1 debut and reminding fans that like a bottle of fine wine, they only get better with time. Earlier this year, they made a promise to regional fans that they would return in November to play intimate shows in their cosy towns... so here they are, with three sneaky, small city shows in Sydney, Adelaide and Perth (with very limited tickets so get in fast). Thirteen shows everywhere from Ballarat to Grafton, Toowoomba to Young, Tamworth to Albany and so many places in between. 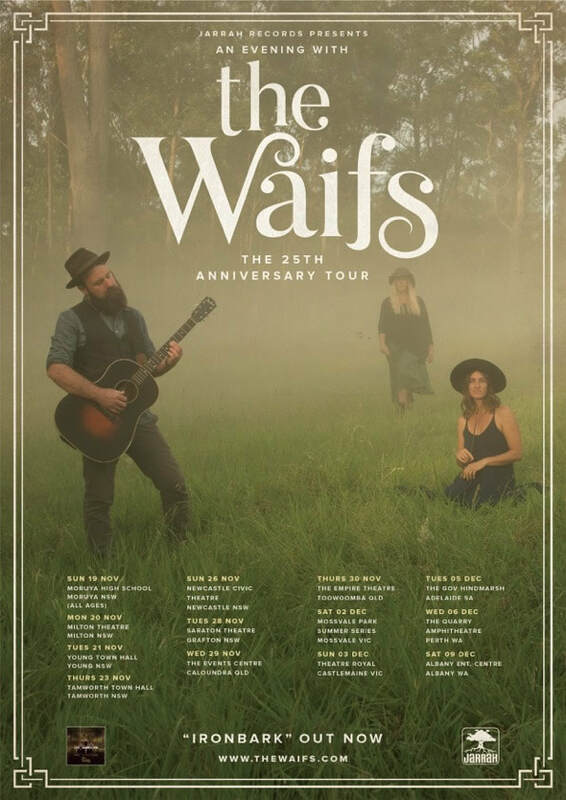 Tickets on sale 9am Thursday 26th October from the Waifs.